He was a free-spirited hippy 300 years before the recognised flowering of hippydom, and has been described as “the king of the spiritually inspired communes”. He’s often seen as one the founders of English socialism and one of the most important figures in the English Revolution of 1649. As a religious visionary, he’s undoubtedly one of history’s most radical of religious reformers. And, working as a biblical-esque cattle herdsman, Gerrard Winstanley was inspired by a vision of communal cultivation of the land and an ending of property rights, motivated by the noblest of geoist ideals. But he started from humble beginnings indeed – in fact it seems very likely that one spur to radicalism was Winstanley’s direct experience of poverty. He was born the son of a Lancashire grocer, moving to London as a youth and becoming an apprentice and ultimately, in 1638, a freeman of the Merchant Tailors’ Company or guild. The English Civil Wars, however, disrupted his business to the point of bankruptcy, compelling him to move back to his native district. He had married Susan King, the daughter of a London surgeon, in 1639 and his father-in-law helped Winstanley move to rural Surrey, where he initially worked as a cowherd. There were many factions at work during the period of the three related English civil wars. Winstanley was soon leading the Christian communists, who called themselves the True Levellers for their beliefs but who were branded Diggers because of their actions. Whereas John Lilburne, leader of the Levellers, sought to level the laws and maintain the right to the ownership of real property, Winstanley sought to level the ownership of real property itself, which is why Winstanley’s followers called themselves True Levellers. Winstanley became a prolific writer and publisher, including the ground-shaking The New Law of Righteousness, which advocated a form of Christian communism. The basis of this communistic belief came from the Book of Acts, chapter two, verses 44 and 45, which speaks of common property. Winstanley argued that “in the beginning of time God made the earth. Not one word was spoken at the beginning that one branch of mankind should rule over another, but selfish imaginations did set up one man to teach and rule over another.” His style was that of elegant plainness but was at the same time superbly polemical. Nor was Winstanley a mere theorist. 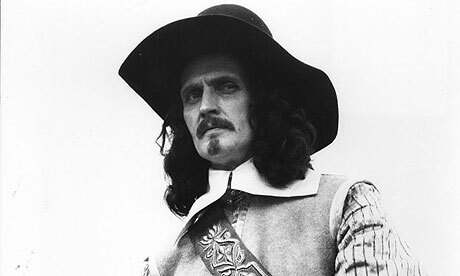 In 1649, he and his followers took over vacant or common lands in Surrey, Buckinghamshire, Kent, and Northamptonshire and began cultivating the land and distributing the crops without charge to their followers. Local landowners took fright from the Diggers’ activities and in 1650 sent hired thugs to beat the Diggers and destroy their colony. Winstanley protested to the government, but to no avail, and the colony was abandoned. The Digger experiment ended when these orders were carried out. So what could have changed the course of history was nipped in the bud. The Diggers beliefs embodied many solid geoist principles, centring on the natural right to common ownership of land. Winstanley published several theological treatises, but could not be described as strictly ‘Christian’, as the foundation of Digger thinking was more to natural law than to Biblical principles. But Winstanley was struggling alone without the benefit of access to other geoists or their writings. In his society, he proposed that commerce would be outlawed, money banned, and the internal sale or purchase of land or goods was a treasonable offence. There was in his plan no institutional church – no surprise given the Diggers’ violent anti-clericalism. But, mellowing with old age, in 1660 Winstanley moved back to Surrey, where where he joined those wonderful peaceniks, the Religious Society of Friends (better known as the Quakers), and remained a Quaker for the rest of his life. He worked as both a cloth and corn merchant as well as holding numerous worthy positions including waywarden (whatever that is) of his parish and chief constable. It was an anticlimactic end to a fiery early life but perhaps, in the last analysis, we shall not be asked how many we were or what we succeeded in accomplishing, but only whether we were faithful.